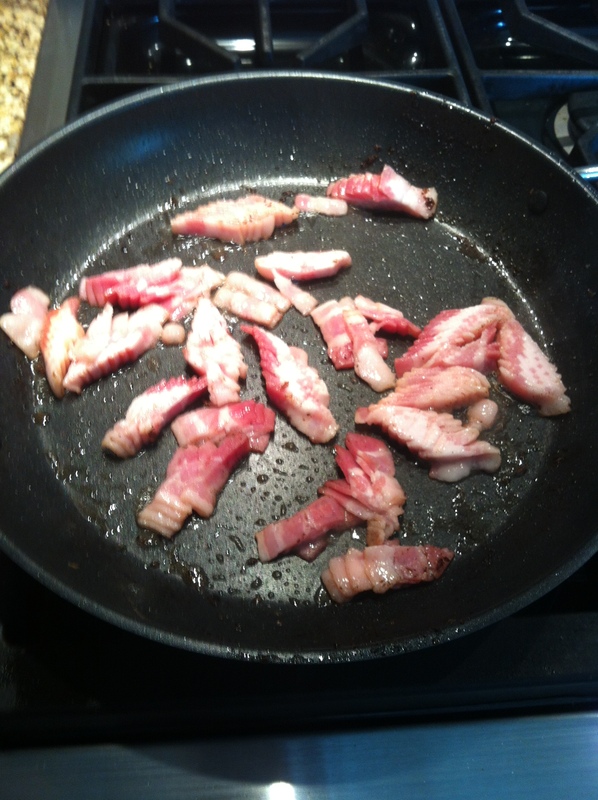 1) Cook bacon then remove from pan and hold to the side. 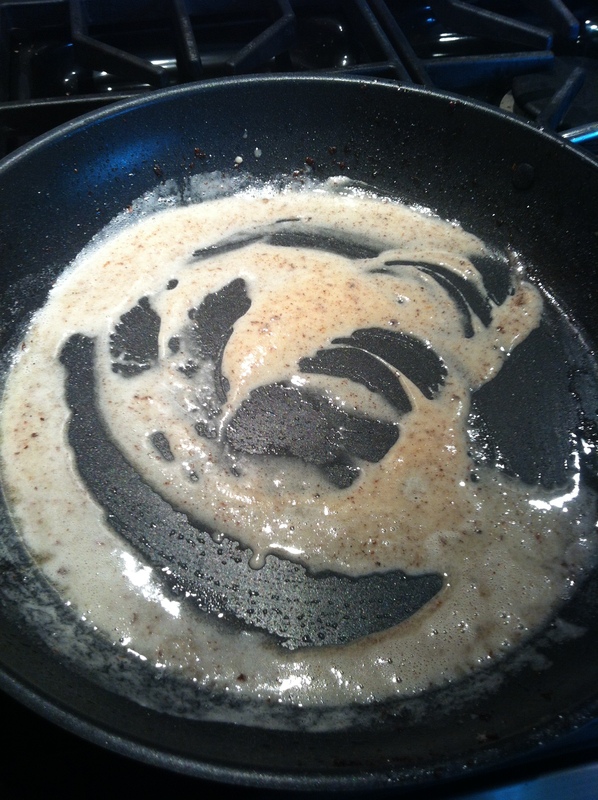 Drain ~half of the bacon grease from the pan. 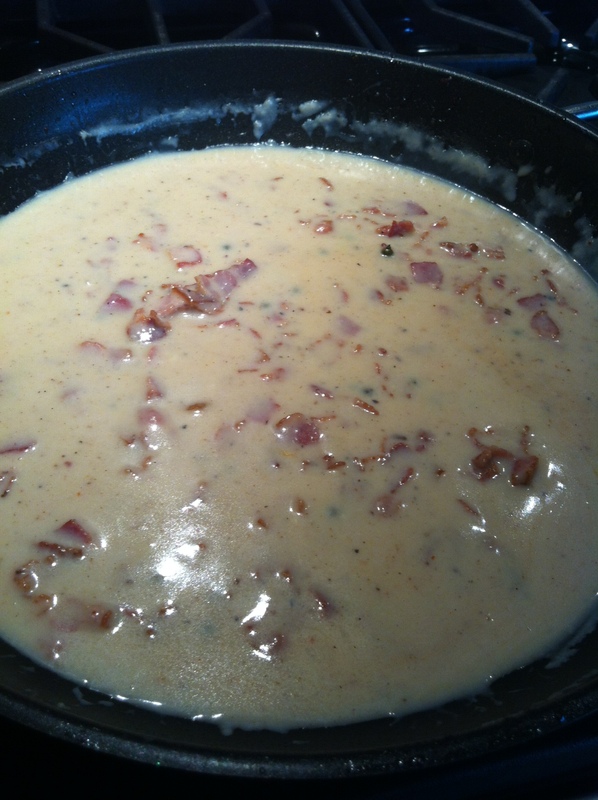 2) Add flour to pan and whisk to combine with bacon fat. 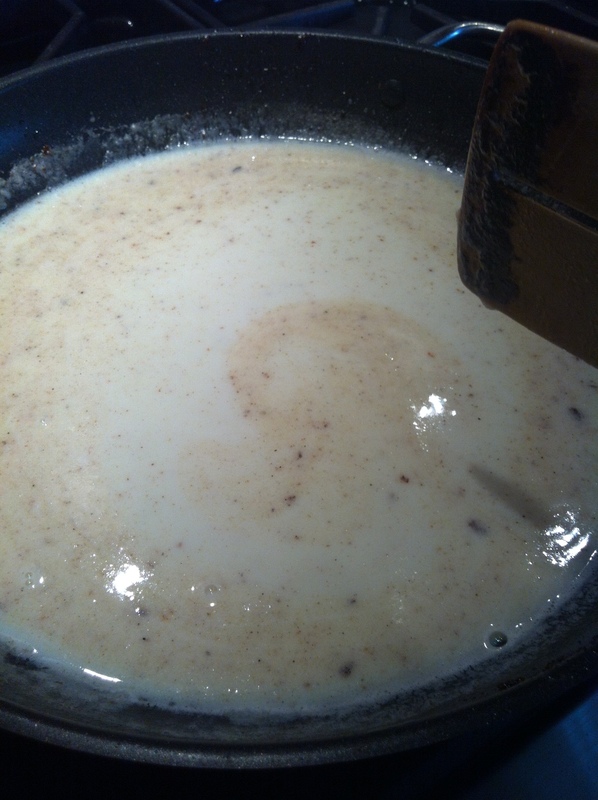 3) Add milk and simmer until gravy reaches desired thickness. Add more flour if necessary. 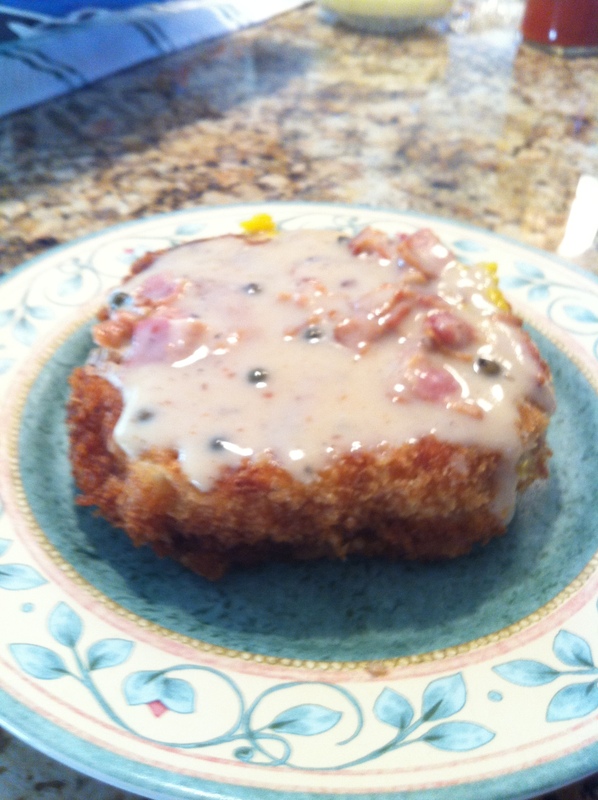 4) Add bacon, green peppercorns, and chipotles to gravy and mix. Salt and pepper to taste. 5) Serve over pork chops, chicken, potatoes, or whatever else you like. Nice touch with the chipotle. Try using a smoked, flavored bacon for extra flavor.